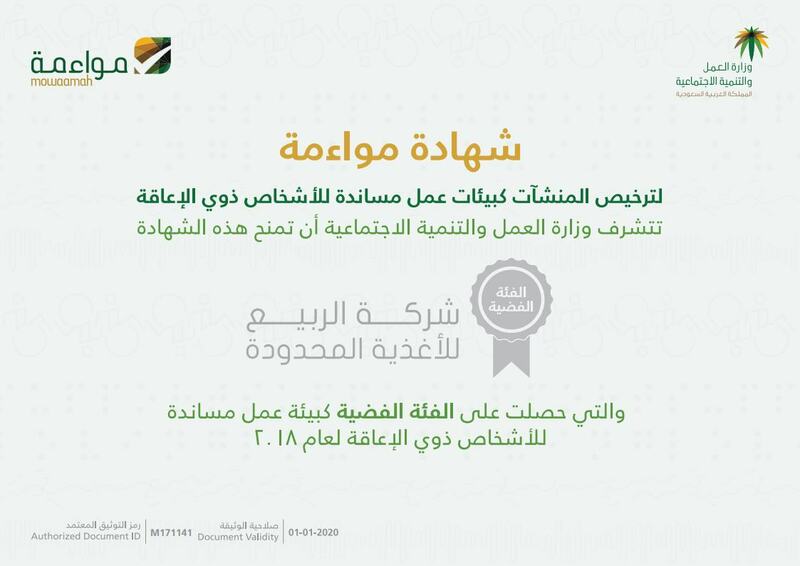 Al Rabie Saudi Foods Co. has obtained Moua’ama Certificate from the Saudi Ministry of Labor and Social Development, another proud addition to its collection of certificates, which confirms the success and prosperity of the company over the past years. Moua’ama certificate is given to companies as a confirmation of achieving the work environment requirements for people with special needs. This requires adopting the best practices and standards in setting and developing the work environment to match the needs of persons with disabilities, in order to help them succeed and excell in their careers, despite their physical challenges.